Our Cuda Crew programme is very important to us and we are always looking to support young riders who have a passion for cycling. 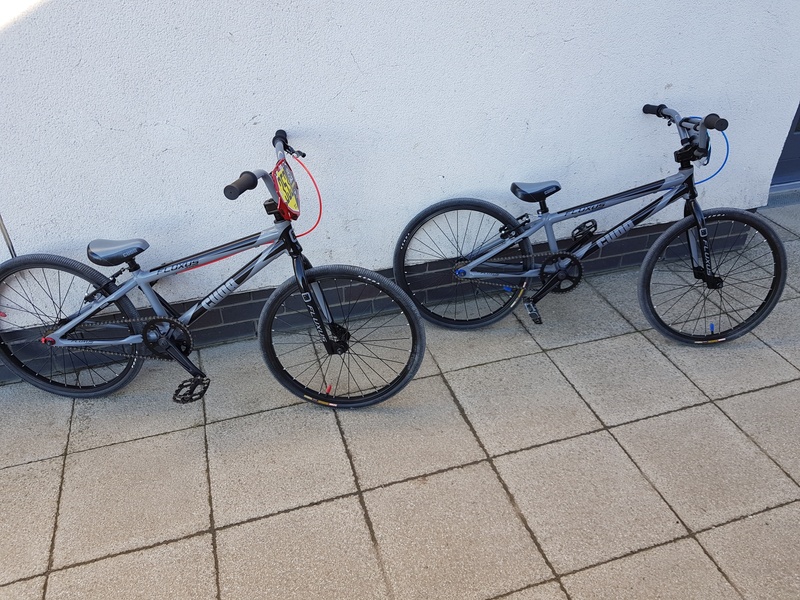 Our newest members Will and Ben visited our HQ last month to pick up their new rides, here’s how they have been getting on! It’s been a whirlwind few weeks since Ben & William visited the Moore Large HQ. That was a day that they will remember for a very long time. We had an amazing welcome from the staff and the boys were greeted with smiles and high fives. The boys were presented with the 2019 Cuda Fluxus. As per normal they both had to get the same colour but with a little bit of personalisation. As soon as the boys had stopped bouncing around with excitement it was off to the local pump track under the watchful eye of Lauren. A great little track and not even the rain put a dampener on the excitement. 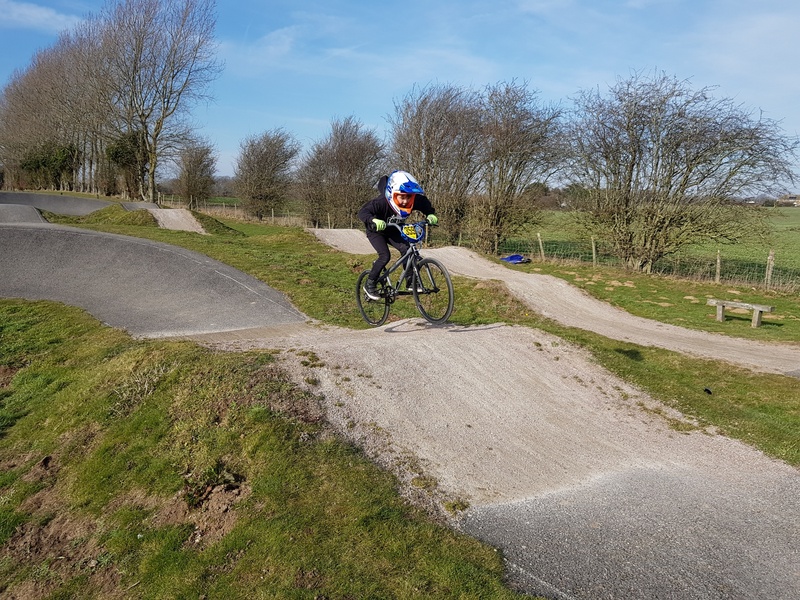 Next it was onto Derby BMX track for a few laps. The boys are excited for the 2019 Brits that are going to be held there. 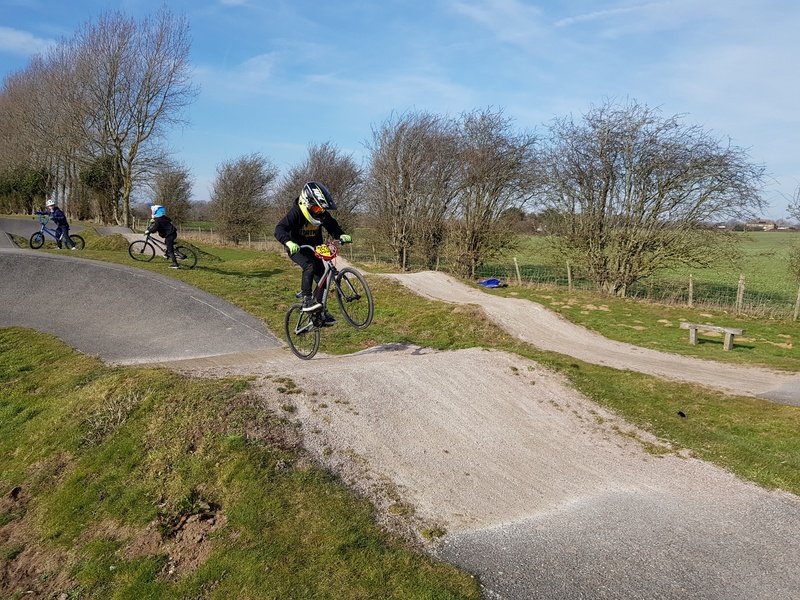 We managed to squeeze in and hour of riding before the weather turned against us, but the boys loved the track and in Bens words it is one of the nicest he’s ridden. The boys have been in full training mode getting ready for the 2019 race season to kick off. 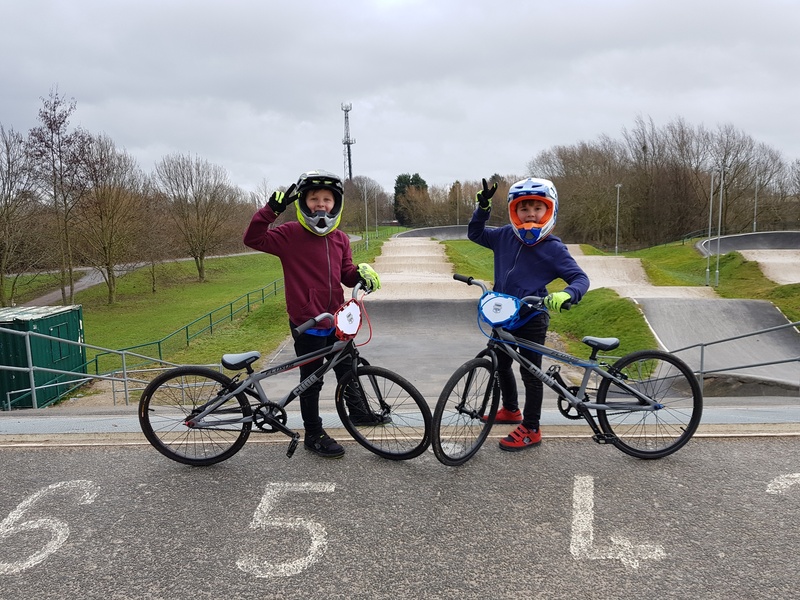 This year they will be upping the stacks by going to their first ever national race alongside the south regional and London bmx series. We have managed to squeeze in a few rounds of the local winter series so the boys could give the Cuda fluxus a taste for race speed. The first round the boys attended was a cold and windy one. Ben was thrown in at the deep end with the 11 year olds but managed a solid 5th in all his motos and a 4th in his final. William pulled out a 4th, 5th and 3rd in his motos and then settled in to 4th in his final. Both the boys walked away with big smiles and were ready for the season ahead. The next round was under nice bright warm sky’s. This saw more riders attend so the groups were bigger. Ben was in with the 11 year olds again but he said before his first moto that the bike feels great so I am going for it. He pulled off a 4th, 5th, 5th in his motos and smashed out a 3rd in his final with a huge smile on his face. William was Mr consistent on the day. He loves his new bike and smashed out a 3rd in all his motos and a 3rd in the final. There has been loads of visits to the local pump track were they boys enjoy pushing each other to go faster. The 24th of March see them compete in their first regional this season. They are hyped up and ready to give it all they have. The 2019 Cuda fluxus really is a little race machine. Loads of modifications from the previous 2018 model and a seriously cool paint finish. The Morris Mob are 100% ready for the 2019 season. We will keep you all updated on our antics at all the tracks. Once again a huge thank you for giving us this amazing opportunity. We will try our best and will always have a smile on our faces.